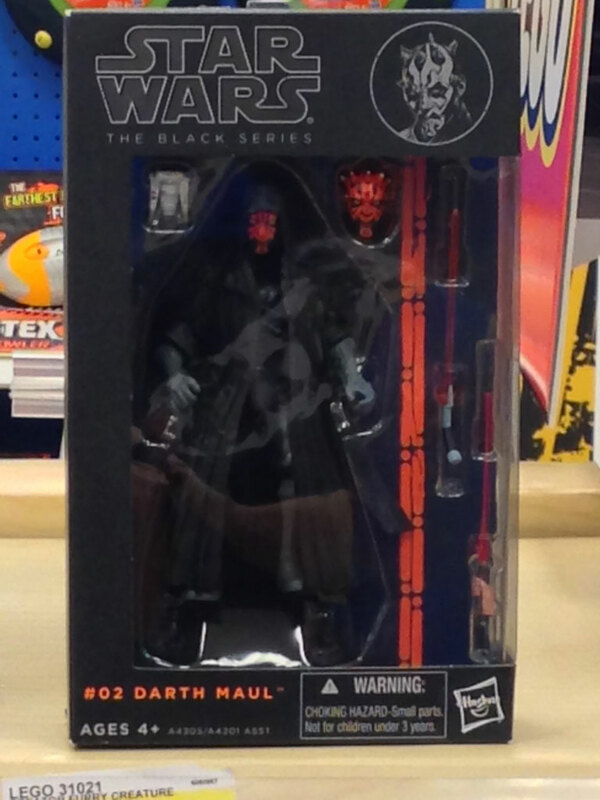 So this troll took the Darth Maul body and lightsabers, but left the second Maul head? These mouth-breathing cretins sure do behave in mysterious ways sometimes. I fear we'll be seeing even more of this with Hasbro's new packaging. On one hand I love the new re-closeable boxes; they look good, and are very collector friendly for those of us who are sometimes torn between wanting to keep a figure MOC and wanting to open it (if only for a little while). And they seem to use less plastic, which is, of course, a good thing. But it's so easy to reseal them, it's practically inviting the morally-challenged to pull this kind of crap. The Captain America Legends Infinite Series (did I get all those words in the right order?) figures I have seen weren't even taped! At least resealing blister cards made them put some effort into their thievery. This is why I loved the infamous clamshells on the MLs from Toy Biz.